"Gilets jaunes" (yellow vests) protesters released a list of candidates for this year’s European Parliament elections on Wednesday. Their newly formed party is called the Citizen’s Initiative Rally and plans to put forward 79 candidates in May. Leading the new party is Ingrid Levavasseur, a 31-year-old nursing assistant from Normandy. 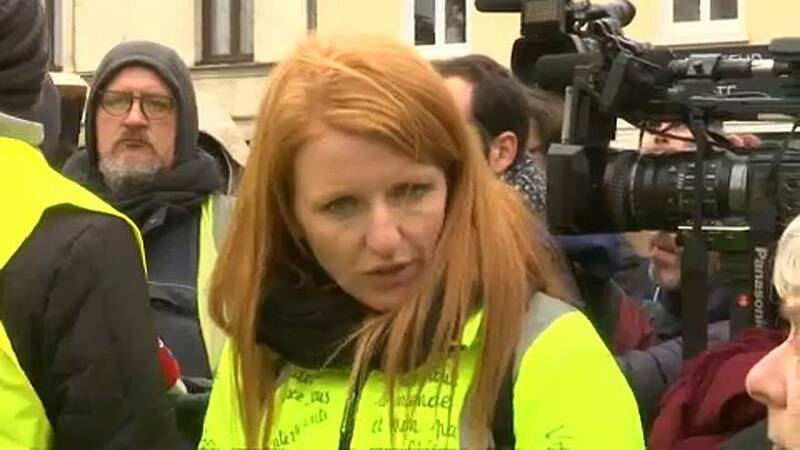 Levavasseur protested as part of the "gilets jaunes" movement in France and recently refused a commentating position with the BFM news network following criticism from fellow protesters. An Elabe poll revealed that the anti-government protesters stand to carry 13% of the votes in May, following close behind France’s two largest parties.